Welcome back to another Ultimate Party on Google+ Friday party! As always, we are excited to have you join us, share a blog post or two, and help us spread the word. Thank you! 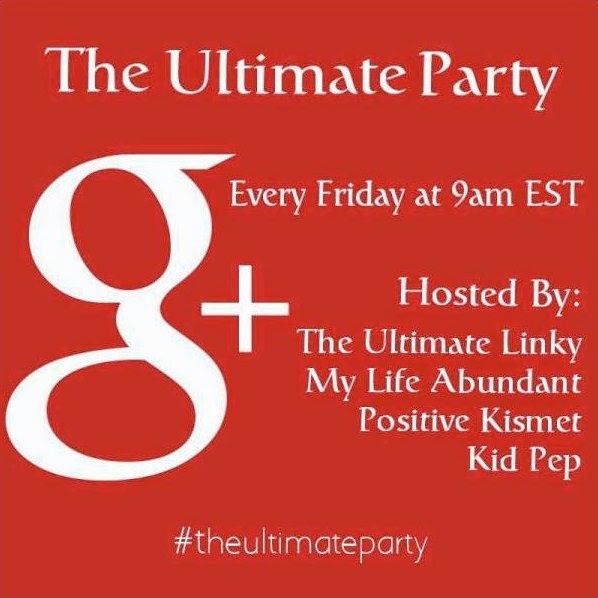 The hashtag to use for our weekly party is #theultimateparty It seems like only days ago when we hosted our first The Ultimate Party on Google Plus and invited all our blog friends and G+ connections to help us reach more folks and expand our reach. Our goal remains getting G+ Bloggers and others on Google+ to connect, share interests, and grow. So come on in and join the party! Every week, our G+ Circle expands as we add more new members to the group. Currently, we have 225+ members and we thank you for your generous support helping us to grow. If you want to connect with savvy social media gurus, grow your fan base and be seen, Google+ is key to your engagement; it's the place to be for hangouts, parties and networking events. Join us today. It is never too late to participate and share a few posts. In case you're still on the fence about participating, here's a very important fact to remember about a Google+ party: Every time someone +1's, comments, or shares your post,Google ranks that post higher. So come linkup for The Ultimate Party below! Then join in The Ultimate Party on Google+ and participate by using the hashtag #theultimateparty ! Will you join us today? As we start a new month of hosted Google+ parties, I'd like to say a big Thank You to our June co-hosts: Amanda from Old House to New House (She's returning as a co-host!) Keitha from The Bajan Texan, Crystal from Finding Crystal, and Bobbie S from A Vision to Remember They did an awesome job! Please Welcome and Follow our co-hosts for July! Please give a huge round of applause for our new co-hosts: Amanda from Old House to New House, Tara from My Anything and Everything, and Margaret from The World As I See It. They will serve as co-hosts for the next 4 weeks, and we hope some of you would step forward, and offer to co-host for the rest of the month of August We need co-hosts for the last 4 weeks in August starting with August 8! Being able to check in several times for at least half of Friday ((from 8-1 or from 1-6) and comment, +1, and share posts with our hashtag. You/your blog would be linked up/linked back automatically right after the hosts. If you'd like to be a co-host for August or any other month, please email Tammy@theultimatelinky(dot)com or contact us on The Ultimate Party page. Our Party starts at 8:00am EST(Eastern Standard Time, some of us leave at 6:00PM, and it finally wraps at 8:00PM. We leave the linkup open until 8:00PM for West Coast bloggers and for those who work during the day. Please link up as early as possible, join the G+ party by using the hashtag #theultimateparty, and help us make this special day fun! Share 2-3 family-friendly posts and any information that would be helpful to other bloggers. Remember to support others at the party by re-sharing, liking/commenting on other submitted posts. Even though the linky below closes at 6:00 p.m EST, feel free to come back and comment and +1 on the posts until 8:00 pm. Please link up if you are going to party with us. We'll also create a Google+ circle based off of the link-up; so if you want to gain more followers, linking up is crucial. We also have a Google+ page called The Ultimate Party where you can receive updates and share in the threads posted on that page if you circle us! Friday is supposed to be the best time for interaction on G+, specifically between 11a.m. - 2 p.m. and 7 - 10 p.m. We now leave the party open until 9 p.m. for our offline workers and West Coast bloggers. One or more of us will hang out with you in the evening as many of your hosts live in the EST/CST time zones and might not be available at that time. Please link up as early as possible so that you get the most interaction on your posts. Thank you again for linking up and joining our party. We remind people to link up every single Friday to help us know who is participating in our party, and discourage spammers from using the hashtag #theultimateparty. We would also appreciate if you only used our hashtag on Fridays. We would appreciate it if you followed all the co-hosts above and the hosts, Tammy from The Ultimate Linky, Tammy from My Life Abundant, Elizabeth from Positive Kismet, and Kim from KidPep on Google+ and any other social media that you would like to follow us on. The co-hosts and hosts are the first 8 people linked up below, so it is easy to follow us on G+. Add our G+ Page to your circles to follow the latest news here: The Ultimate Party G+ Page. We will invite you every week to our party "event" and, periodically, we might share some extra party features for your benefit. Some Food for Thought: Would you like to grow your Google Plus connections? 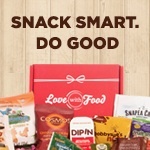 Link Up and join in! A grateful heart is always satisfied. PHOTO CREDITS/ATTRIBUTIONS: All Photographs from the co-hosts pages and my personal collection. Join us every week and add a comment/question here when you have a moment. I'd be happy to answer any questions you might have. interesting there is Friday ultimate party like this, I haven't try this before.